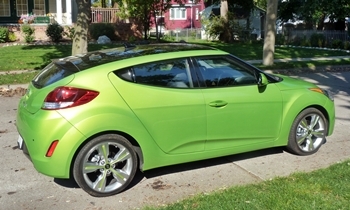 More Hyundai Veloster photos to go along with Michael's review. Exotic looks, but not an exotic price. More vibrant colors are available. Driver side has one door.